We had a reservation..... had requested a booth in the bar area. The hostess (sorry I cannot remember her name) was incredible. If it had not been for her the meal would have been a negative experience!!!!!!! Because of HER the meal was a great experience. They overbooked large parties. Placed us at a table too small for our group. We were obviously sandwiched between two groups of sorority girls. The noise level prohibited any conversation. While food was good, the server did not return once it was delivered. They are not child friendly and had no children’s menu no crayons to keep a 2 year old. We were celebrating my daughters birthday and they charge a 3$ per plate cutting fee, which we were willing to pay, but chose to leave and have the cake at home bc of the crowded and very noisy environment as well as poor server attention. I had to ask for the bill after 20 minutes of waiting once we were done eating. When I described my disappointment to the manager of the poor experience he simply said he was sorry with no type of compensation. When you are dining at a restaurant in this price range, you would expect more patron consideration overall. Not recommended for families or parties. Vibrant happy hour and great food spot right across the street from Haverford College. Easy parking makes it too easy to pass this place by. Stop in and enjoy! Two of 5 people had to send it back. Didn't come out the way the ordered it. 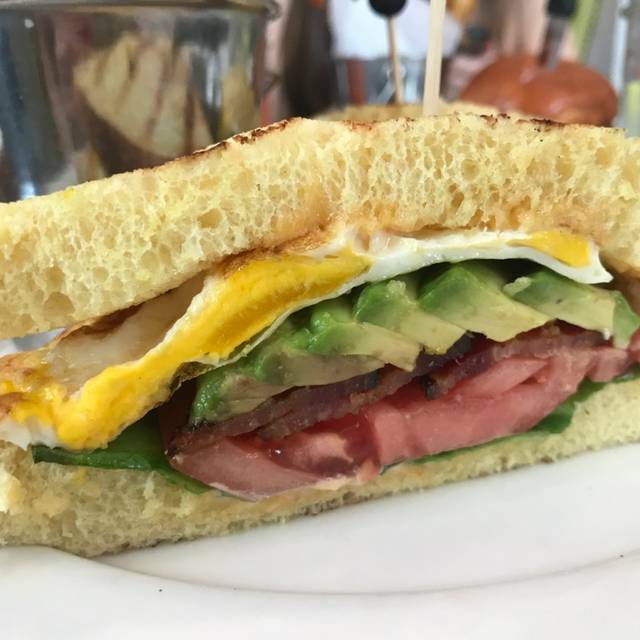 Although the ambiance is lovely and the service is good, it is not as friendly to those with dietary restrictions. Having a gluten allergy, I was happy to know they had a separate menu for allergies. However their special menu is not user friendly. You have to search the menu to find out what is included in each selection and then eliminate the ones that contain your specific allergen, versus offering the options that are acceptable. The choices were very limited. Yes, they offer GF rolls, but for one who doesn't eat bread, my choices are even more limited. There were only 3 options on the lunch menu that were GF. I prefer to have more options and know that the restaurant is willing to accommodate everyone. Great food and wonderful service. It was a great night. On time with reservation and requested location. Service personnel top notch and attentive at proper level. 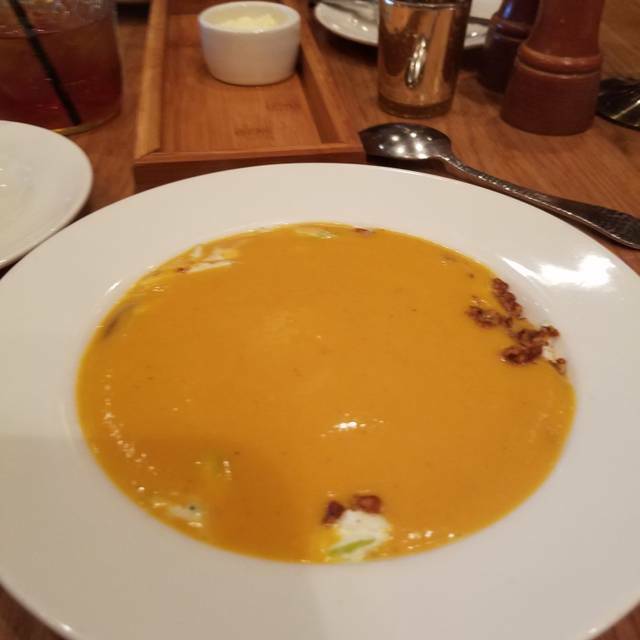 Portions ample and soup delicious and right temp. Wood table top showing some wear. Great restaurant - my first time at this location. Different enough from the other location to feel different, yet somehow familiar. Attentive service - never intrusive, but always responsive. One in our party is a gluten free vegan with some other sensitivities. Our waiter was super in recommending some substitutions. Everything was delicious and presented beautifully. Great place for Sunday brunch. Food was great and the service was outstanding. Would definitely recommend for young families. Bartenders Justin and Sabrina are both outstanding!!! Great, as always! We have never had a bad experience at WD! Thee bacon spinach omelet was very tasty. The salad was also very good but salty-although I did enjoy it - it was noticeably heavy on the salt. The waitress was OK...I did ask another server to take a wine list and she was taken aback that I would ask her to do something. The most odd item was the "bread basket" which was not bread nor was it a basket...really likes the wooden tray-elegant- but the "bread" was sweet cakes....a few of them and a bit dry....so that was very disappointing when you think of the bread basket at Parc...other restaurants...its usually bread. So you might want to rename this...although the tastes were good. Could not have been nicer! Great ambiance, service and food. 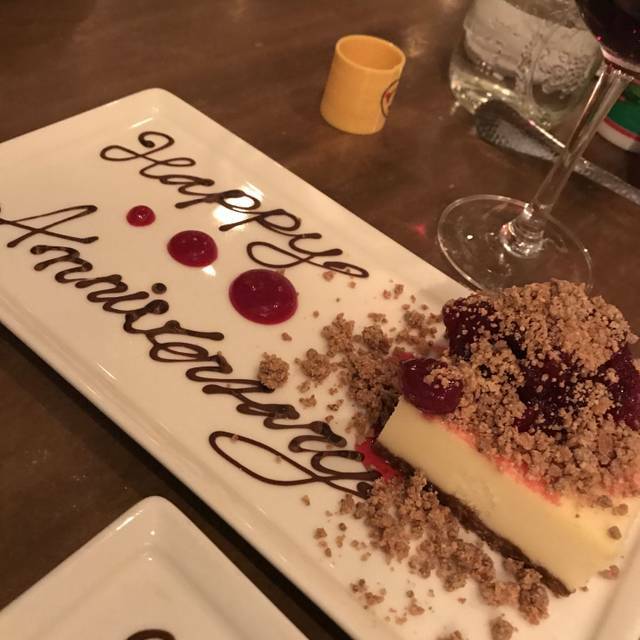 Our second time here and we experienced the same outstanding service and excellent food as before. We will return. This is one of our favorite restaurants-the food is outstanding, the service is impeccable and the decor is fantastic. We brought our dog loving friends from Connecticut to lunch while they were visiting us here. They loved it too. The tuna tartare, mushroom soup , and soft shell crab sandwich were delicious. One person in our party has an egg allergy and the staff was well informed and attentive about his food. First class restaurant. Anxiously awaiting the new spot in Glen Mills-where we live. Why seat us in a corner? I had a Rez for 12 and met a friend. We were on time. The restaurant at noon was not at all busy. Why were we seated over in a corner in the back room? I asked for a different table. Guess what? We were then seated just outside the kitchen, so one of us had a clear shot into the kitchen. It's not as if we walked in wearing tee shirts and flip flops. On the contrary. We arrived well dressed. So, again, I asked for a different table. I suggested a booth near the bar. Sure enough, we were escorted to the very last booth. Three were empty. All this established a mood not conducive to feeling welcome. Food was not well done, especially for the price. Disappointing. Great Main Line stand by. There's always a table and drinks are great. Our Saturday night dinner, the kitchen and wait staff were pulled to their limits, including the dish for which we went there for was 86'ed. But we'll be back - and we'll try our best to avoid the Saturday night slam. 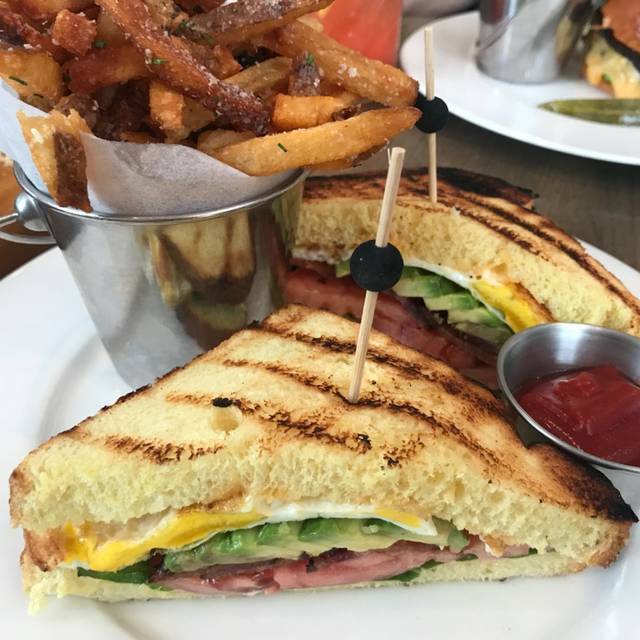 White Dog Cafe was the perfect place to dine for my girlfriend's birthday. Not only was the customer service exceptional, but the food was also delicious. The workers even gave her a personalized birthday card. My girlfriend loved the decor and the White Dog Cookie Jar Dessert was the icing on the cake. I guess it's not a bad thing that the worst thing I can say about this visit to White Dog (and I 'm pretty much a regular at this and the University City locations) is that, even as much as I expect not to find much engaging variety in the menu, I was surprised to see that a relatively "new" item, described as a "short rib hash," featured, as I was thankfully cautioned by my vigilant server, a "lot" of mushrooms... which led me to conclude that the name of the dish was not only inaccurate, but misleading. 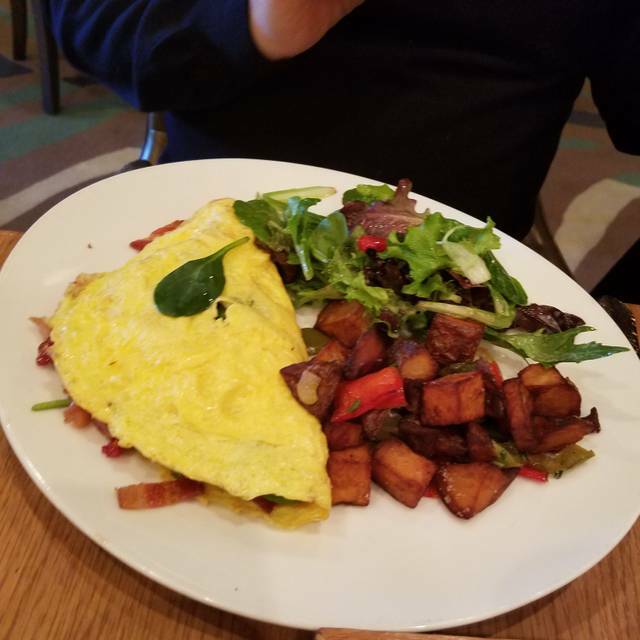 I am far was less interested in mushrooms (which were and are a welcome feature of the aptly named Kennett Square omelet—my visiting friends's choice) than I would have been in a short rib dish. It would have been a welcome variant on the old reliable standard, a classic corned beef hash. But it was not to be. Either tighten up the descriptions in the menu, or sit the chef down and explain some things about language, and the expectation that it creates. Otherwise, no complaints. What we were served was, as usual, impecccable. And obviously, I appreciated the attentive and alert service. I had a lovely ladies lunch outing with a colleague. The food and drinks are always divine. However, our server seemed a bit "rushed." I'm assuming that the goal of lunch service is to get people in and out so they can get back to work. We were finished working for the day and wanted a bit more of a leisurely experience. Otherwise, incredible...as always. Finally, I got to order from the lunch menu because I visited on a weekday! I've been dreaming about the soup and sandwich combo and it did not disappoint. 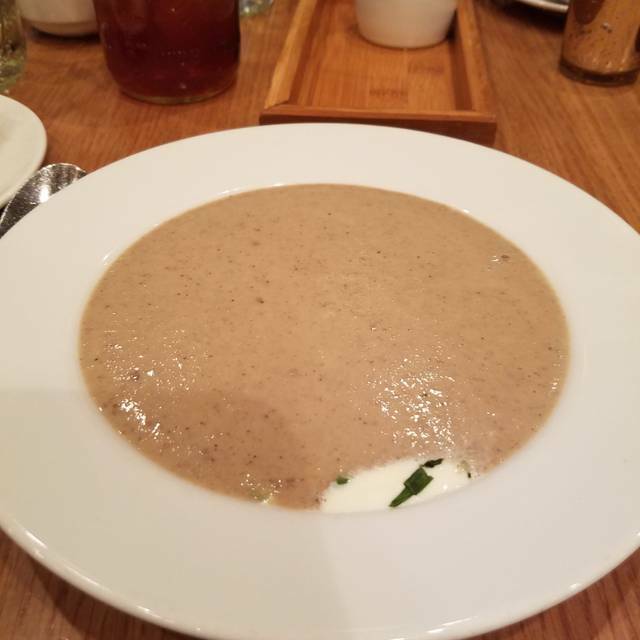 The mushroom soup is divine, creamy and delectable, with strong mushroom flavor and delicate undertones that balance out every sip. The tuna melt was equally delightful and the bacon was such a perfect compliment. Does bacon go with everything? We were thoughtfully seated at a two-person table against the wall with the diners next to us on the yonder side of a four-person table. It really helped with both noise level and sense of privacy. This is typical of the wait staff's thoughtfulness. We often come here for special occasions. This time the raw oysters and the tuna tartare were especially delicious. We love this place and our recent visit did not disappoint. 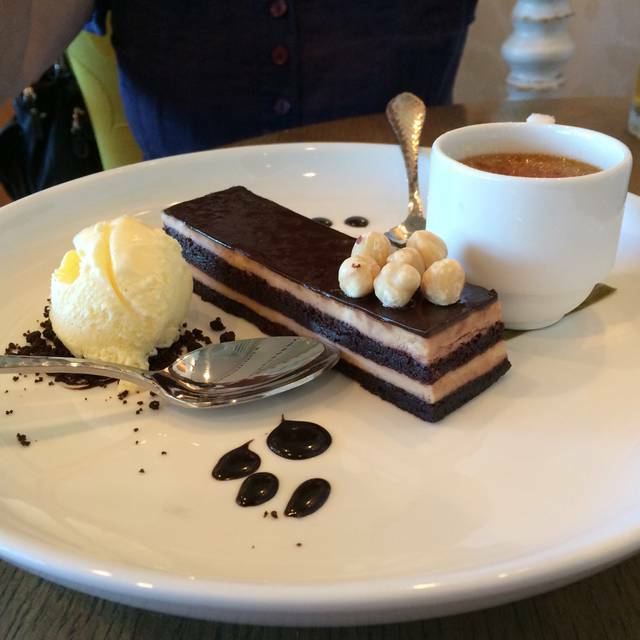 Service was attentive without being cloying and as always the food was great. The branzino was especially good and worthy of a try. Great food and service. Highly recommend. Get the mushroom soup the best!!!! We had a reservation for 5 people but since one friend was not there, she was running late, they would not seat us. I found that very offensive. It should not have mattered. After a few minutes I politely asked the hostess to seat us since our friend was close. She was frazzled and put us at a booth in the bar area with a chair at the end of the table. It was cramped. The waiter didn't come to our table for about 15 minutes, and the service lacked accuracy. Two burgers came without bacon, two ice teas were forgotten, my dijon mustard was forgotten, my one friend's sandwich that had bacon was so hard it nearly cracked her tooth. The food was very good overall- the burger was divine. The biggest disappointment by far was not being seated at our reserved table right away- we were there right on time. That made it feel like a TGI Fridays on a Saturday night rather than an upscale eatery like the White Dog. 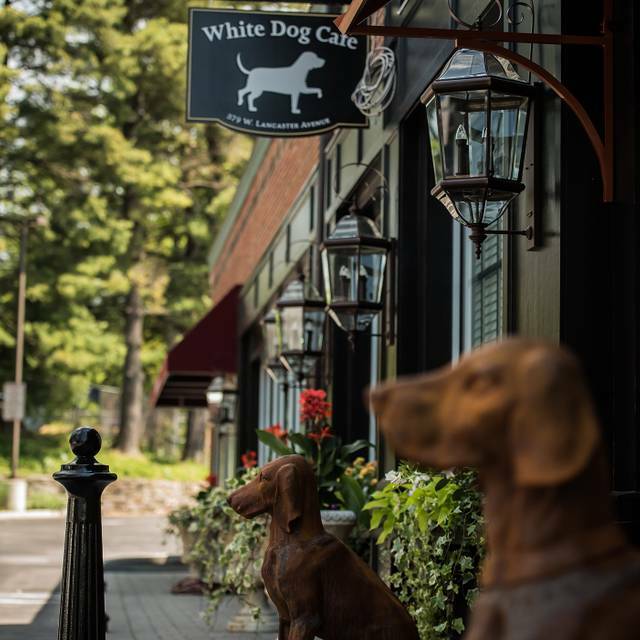 Use to go to WHITE DOG in Wayne, loved it..food was always terrific. Never been to Haverford before & it was a disaster. Came from center city to meet a friend in Ardmore for a noon reservation. Had to take the 44bus & driver had aircond. on, it is not summer yet, nor was it hot. By the time we got to the restaurant I was looking to relax & have a good meal. Unfortunately, did not happen. Got waitress & both meals went back. Turkey was nothing special 16. a waste. I told the manager & said he'd tell the chef. That doesn't help me. Told him I came a long distance & this sandwich was terrible. He said he was sorry. I signed my charge, put on a tip & walked out telling him I'd never be back..he could care less. We sent both meals back. Wonderful martinis. Excellent service at the bar and from our waitress when seated. The food was delicious. We always enjoy dining here as everything is wonderful! Food was fine if a little predictable and a LOT of cheese in the entrees selection. The server was over the top, kept appearing every few more bites to get an update on how our meal was going. Everything was really delicious, and the service was great too. Food was consistent although one misses the panache and excitement of the real White Dog in the Judy Wicks era. Large solid appetizers, pleasant entrees, excellent dessert and drinks. 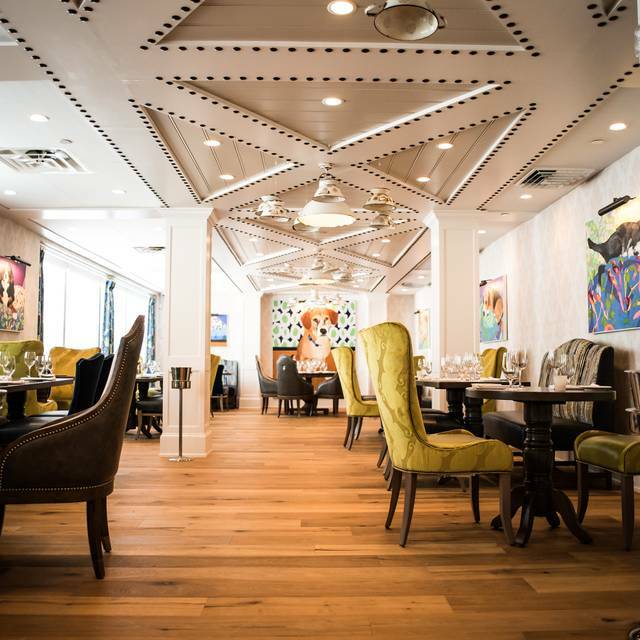 A highpoint was the lilting Irish server's celebration of spring that added a festive and human touch to the meal. A solid reliable meal which is important given that the Main Line is essentially a food desert; there simply is no comparable restaurant at the nonetheless high price point within miles --this is the only choice between Philadelphia and Devon unless one wants good Asian food.